Made in the UK, this dew remover is a low consumption eyepiece or finderscope heater that produces 4W of power. Made for operation at 12 Volts. It can be used with a controller, but due to the low energy consumption a controller is not entirely necessary. 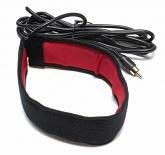 As it comes with a standard phono plug, it is compatible with the dew controllers that you can buy through our website. 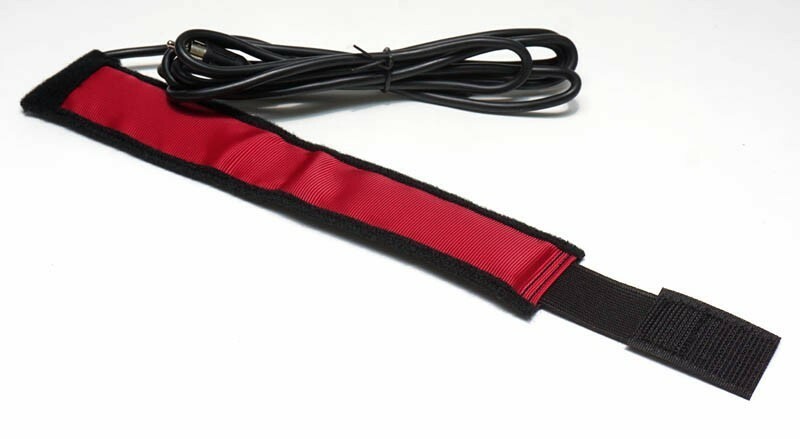 A suitable 12 Volt DC power supply is required, either via mains transformer or power tank or other suitable battery, but please don't forget that you'd also need a compatible supply connector cable or controller. 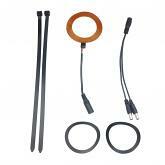 *Please check out the actual circumference of your telescope or eyepiece before you purchase a heating strip. Image is for demonstration only.